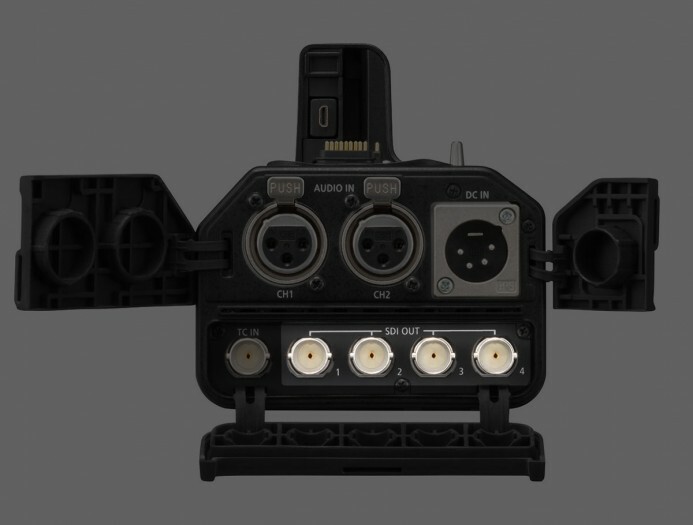 Panasonic’s YAGH interface unit provides robust connectivity that makes the already-capable GH4 even more powerful as a professional video production tool. It’s not for everyone though. Here’s the thing: The YAGH may be custom-built for the GH4, but that doesn’t mean it’s custom built for you. The YAGH was made with a specific user in mind. This guide will help you determine whether you are the right type of user for the YAGH. Panasonic finally gives us real XLR inputs for the GH4, but they’re charging $2,000 for it! Are they crazy? A lot of people are interested in the YAGH primarily for its XLR audio inputs. If this is you, then the YAGH is probably not for you. Let me explain. The YAGH is currently the only official way to use XLR mics when shooting with the Panasonic GH4. Furthermore, its digital audio connection to the GH4 might also make the YAGH one of the best ways to capture quality audio in-camera. There’s no doubt that Panasonic put a lot of thought into the YAGH’s XLR audio inputs. Nonetheless, even good preamps and a digital connection with the GH4 do not justify the cost of the YAGH. Preamp: JuicedLink Riggy Assist RA222 ($329) — A high quality preamp with 2 XLR inputs that mounts directly to the camera. Field Mixer: Sound Devices MixPre-D ($899) — Professional 2 channel mixer with high quality preamps, limiter, and high fidelity level controls. Recorder: Tascam DR-60D ($200) — 2 channel field mixer/recorder with combo XLR/TRS audio inputs and good preamps. Budget: iRig Pre ($35) — A small preamp if all you need is a single XLR input with phantom power (requires an adapter). Bottom line: If you only need XLR inputs, get a good XLR preamp, not the YAGH. If there was any question who the YAGH was built for, the SDI outputs hold the answer. The YAGH has four 3G-SDI outputs for sending video and audio to other devices at up to 4K 4:2:2 10-bit resolution. This allows you to connect the YAGH to other devices such as monitors and external recorders. Unlike HDMI, SDI is not a consumer-centric interface. 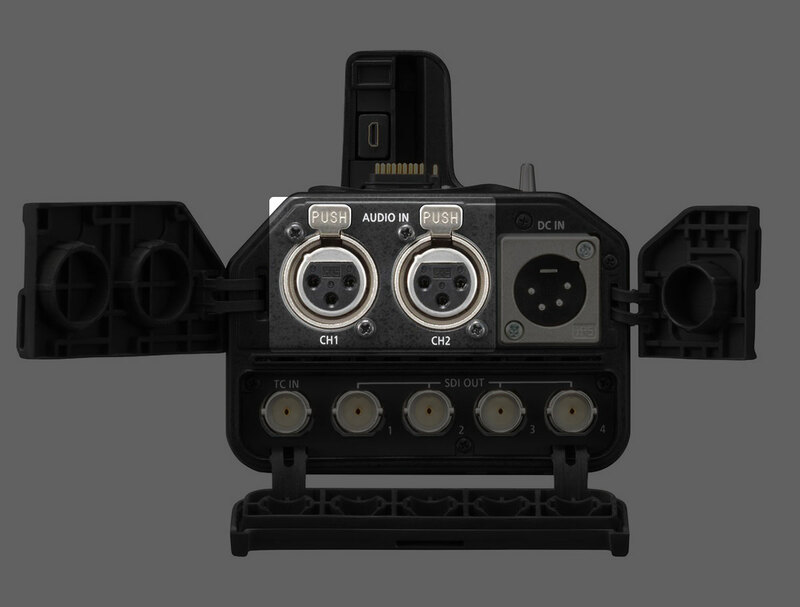 SDI uses BNC connectors, a robust locking connection primarily used by professional video production equipment. 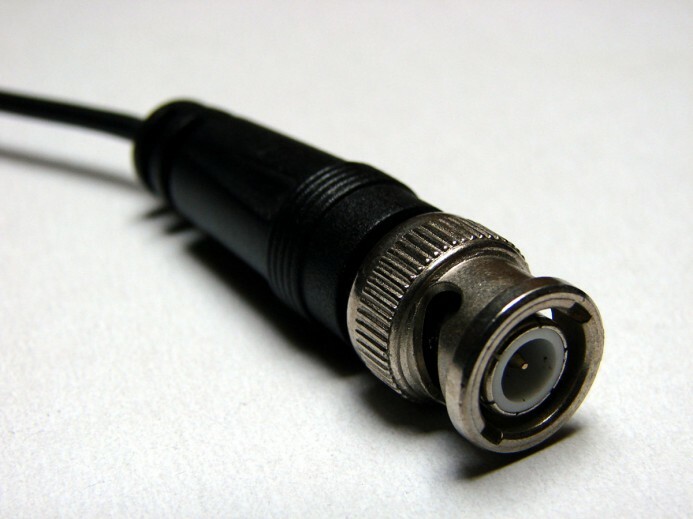 Locking connectors are essential for mission-critical applications where a loose connection could cost a production millions of dollars. Here, a consumer-level push-in connection like HDMI simply will not suffice. A locking connection like BNC is necessary. Additionally, SDI connections are useful when you need to run a feed the camera over long distances to a switcher or video village. SDI cables can reliably carry HD signals for distances up to 100 meters, while HDMI cables max out at less than 15 meters. Bottom line: If you need robust connections that can go the distance, then the YAGH’s SDI outputs might be for you. If you are using SDI cables, then chances are you also have a use for the YAGH’s TC (time code) input. The YAGH’s TC input allows you to sync the GH4’s internal time code to another device such as an audio recorder or standalone time code generator. Syncing time code among cameras, audio recorders, and slates is important for productions using multiple cameras or dual-system sound (where the audio is recorded separately from the video). As long as all devices share the same timecode, synchronizing all media during post-production is pretty straightforward. Bottom line: If your production uses dual-system sound with TC-capable recorders or shoots with multiple cameras simultaneously, then the YAGH TC input will help keep your media in sync. External Recorder ($4,000) — Currently AJA’s Ki Pro Quad is the only recorder that correctly handles the YAGH’s quad SDI output for 4K recording. SSD Storage Media ($1300/512GB) — For 1 hour of 4K captured at ProRes 4444. Power supply with multiple 4-pin XLR outputs ($500+) — Required to power YAGH and external recorder. Camera Rig and mounting accessories ($2000+) — A full rig is required to support the weight of the GH4, YAGH, external recorder, and power supply. Bottom line: If you’re not prepared to budget at least $10,000 for the necessary equipment (not including the GH4 itself), then the YAGH is not for you. One of the highlights of the GH4 is that you get an incredibly powerful production tool in such a compact package. This allows you to capture quality images while still remaining mobile when shooting. Despite appearances, the YAGH does not add a lot of bulk to the GH4. The interface unit makes the camera stand a bit taller, but it doesn’t add all that much weight to your setup. It actually seems possible to shoot handheld with the YAGH attached. That is, until you remember all of the other components you need to actually use the YAGH. Once you add the external recorder, storage media, power supply, batteries, and the necessary cabling to connect everything together, you end up with a pretty hefty setup. Rods are obligatory– you’ll need them to position the various components to properly distribute and balance the weight. Shooting from a tripod is pretty straightforward, but if you intend to shoot handheld, you’ll definitely need a shoulder pad and handles to comfortably support the rig’s weight for any length of time. Your lightweight 4K powerhouse has been transformed into a 2 ton behemoth. Bottom line: Hello YAGH, goodbye mobility. If you need to shoot light and fast, the YAGH is not for you. Should You Get the YAGH? Whether the YAGH is right for you basically comes down to your workflow and production environment. If you frequently work on sets with video villages then having the ability to integrate with the production’s pipeline using the YAGH makes the GH4 a much more viable option. Furthermore, because of the added bulk and power requirements of the YAGH, if you shoot in environments conducive to a shoulder rig, then you can benefit from the YAGH’s robust inputs and outputs without it getting in the way. If mobility is a priority, put the YAGH down and step back slowly. Remember though, what you’re really gaining from the YAGH is robust connections, not additional functionality. You can still send 10-bit 4K via the GH4’s built-in micro HDMI port, you’ll just need a different type of external recorder (see below). Bottom line: If you have the budget and need to fit the GH4 into a professional production environment, then the YAGH could be the perfect tool. Ready to get the YAGH, but don’t know where to start? The YAGH Blueprint removes the guesswork and shows you exactly what you need to quickly get up and running with the YAGH. This authoritative guide covers everything you need to know with information on external recorders and storage media, the perfect power solution, and even the the best shoulder rig for shooting comfortably with the GH4 & YAGH. The YAGH Blueprint will be released soon. Sign up below to receive updates and special subscriber-only discounts when the Blueprint becomes available. The GH4 is the first camera that can send 10-bit 4K footage over HDMI, which makes it capable of great things even without the YAGH. The only problem is that there aren’t any external recorders capable of receiving 4K over HDMI. 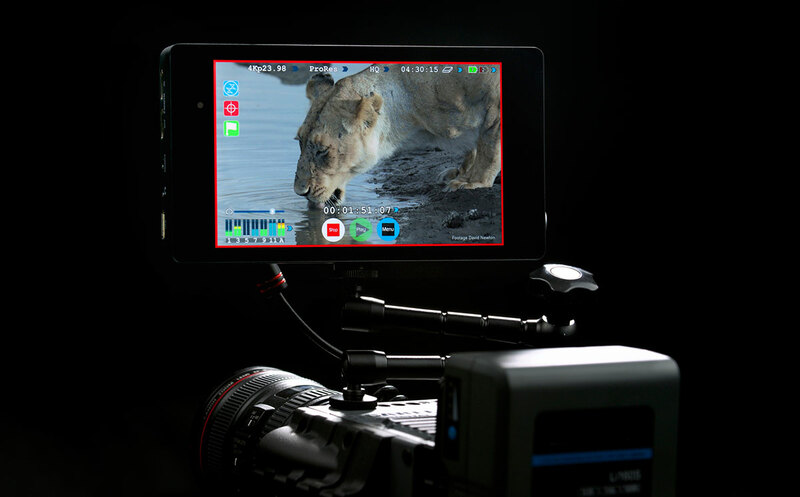 Later this year, Atomos is scheduled to ship the Shogun, a 7″ LCD monitor with an integrated 4K recorder. 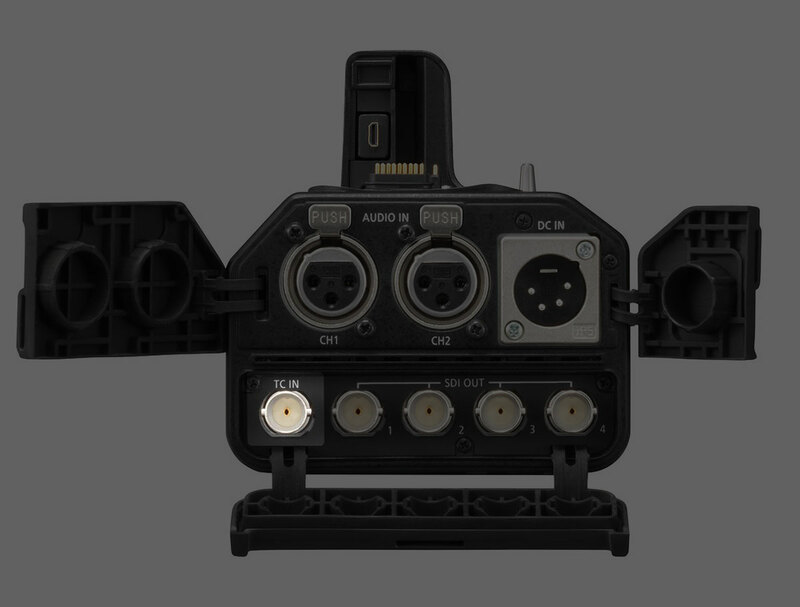 The Shogun’s HDMI input will accept the GH4’s 4K UHD footage and save it in a variety of formats such as ProRes, CinemaDNG, and Avid DNxHD. Additionally, the Shogun also has dual XLR audio inputs with phantom power, a wireless remote, and a 7″ HD touchscreen LCD with a full set of image analysis tools such as a waveform and vectorscope. Heavy external battery solutions are unnecessary with the Shogun, as it is powered by readily-available NP-F570 batteries, making for a very compact and portable solution. Essentially, you can mount this monitor/external recorder right to the GH4’s hot shoe and record 10-bit 4K footage without all the bulk and support gear needed to use the YAGH. Handheld shooting might even be feasible (though a 7″ monitor isn’t exactly light). Of course, the big question is how much will all of this awesomeness cost? The Atomos Shogun is scheduled to be released later this year for $1995. That’s right, $5 less than Panasonic’s YAGH. Bottom line: The Atomos Shogun changes everything. Expect even more solutions to be announced by other manufacturers soon.